The excitement and glamour of all the fun details associated with Prom make for a Lifetime of Memories! Limo Rentals for Prom are a traditional Rite of Passage! Be it Homecoming, Graduation, or another Rite of Passage! Bar or Bat Mitzvah, Sweet 16, or Quinceañera! At your Reunion or on your Senior Trip, you will look and feel like celebrity when you make your entrance! Just for a few or for the whole crowd, your ride will come as decked out as you are! Pick from multiple options for a party perfect package! Is Gnarly at the top of your list? An Insane Sound System, Neon Lighting and WiFi's at the top of ours. 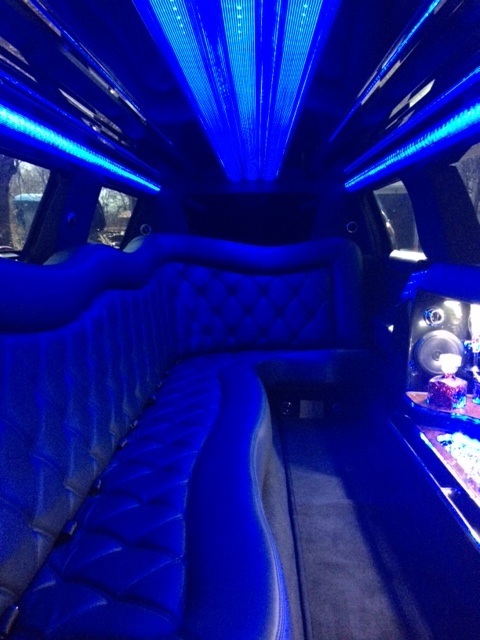 Choose from Traditional Stretch Limousine (In regular and super-stretch), Luxury Sedan, SUV's and Party bus! Choose Amenities like Flat Screen TV's, Surround Sound, iPod connection, CD/DVD players, Fiber Optic Lighting and more! ​Whether it's Cinderella's Coach or a Sick Stretch you are dreaming of, we've got your back! ​Oh, and to those of you going to the dance ... Tell Mom and Dad, they can take comfort that that a limousine to and from the festivities is a SAFE way to go. ... And Heads up - Don't forget to also add, (because it will make their eyes mist and their hearts swell (and possibly your allotted budget too! ), that they totally RULE for making you Feel like Rock Stars!